GERA agrees with the views expressed in the letter. Congratulations on your appointment as the Mayor, an exciting year ahead. An independent and new perspective should be invaluable for confronting our key challenges. 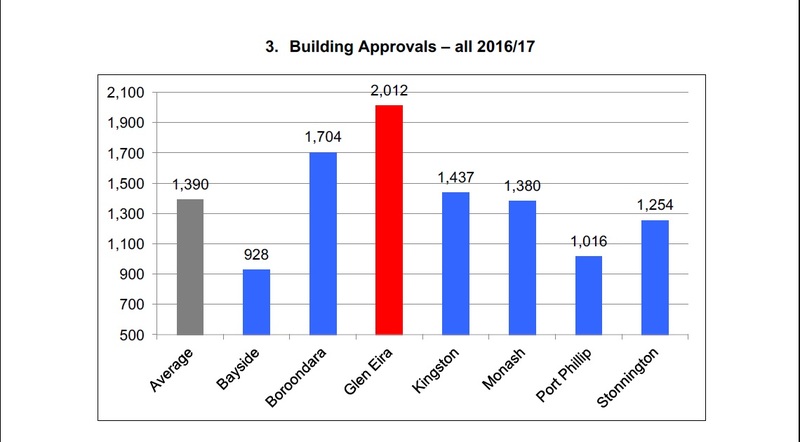 And yes, Glen Eira has some significant challenges as further highlighted by the latest ABS building permit approval numbers which show 1,324 building approvals in Glen Eira from July to end of October with 1,233 apartments and only 91 houses (This compares to an average of 541 building approvals and 443 apartments for neighbouring local government areas). 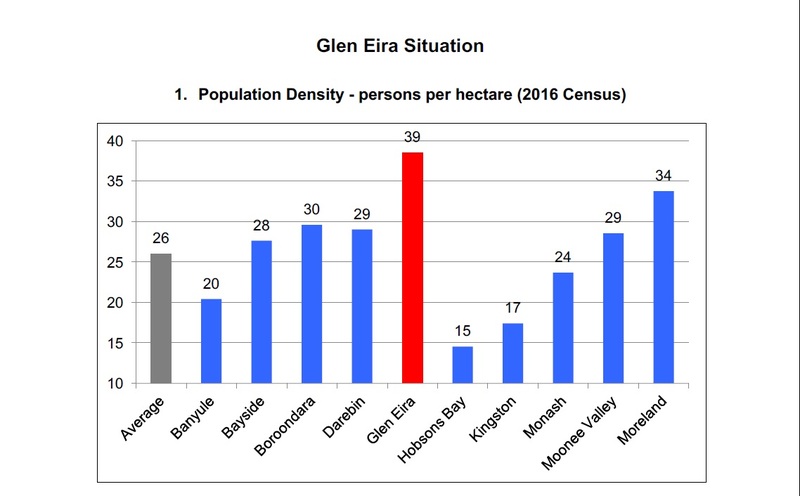 These figures again reiterate the reasonable community concern that Glen Eira is growing at a very disturbing and unsustainable rate. I understand that you have inherited this excessive and unplanned growth however unless it is more effectively controlled it will totally destroy the municipality that we have grown to love. We already have exceptionally high population density, rapid development rates and very low open space provision and hence have been very strongly pulling our weight in terms of Melbourne’s overall population growth. 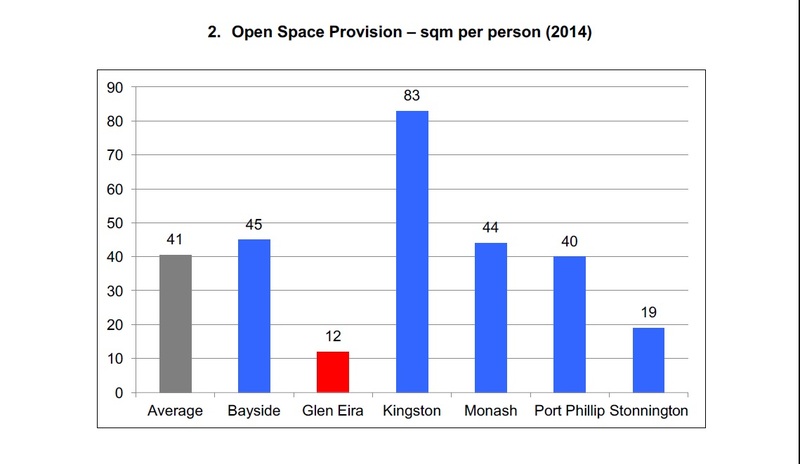 I have attached the relevant graphs (following) which highlight these points while also comparing the Glen Eira situation to other local government areas. I am not in any way anti-development (I have several children that will want to live in a home somewhere) but am seeking a balance to ensure liveability, long term sustainability and the right legacy. Respectfully, what’s required is a counter-balance to address the weaknesses of the past. Firstly, a genuine acknowledgement of the current situation is fundamental to the move forward situation. Unfortunately, the most recent ABS building approvals, which are tracking to be significantly higher than last years, have not been highlighted in any of the research and reporting undertaken as part of the structure planning process. 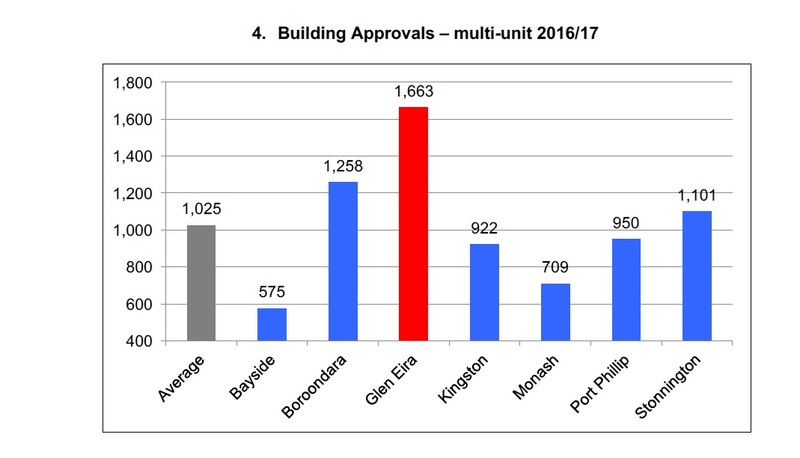 The projection of 9,000 new dwellings over 15 years is well and truly understated (unless controlled) and this is further confirmed by the ABS building approval figures. 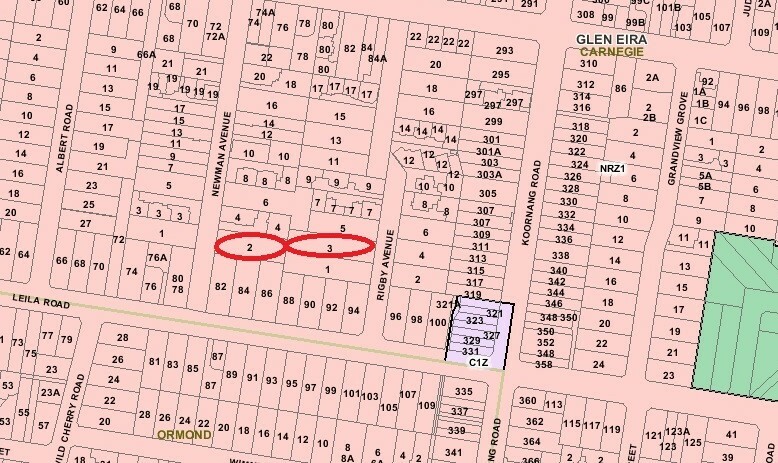 I have requested on numerous occasions that Council project new dwellings numbers forward, including East Village, Caulfield Village, VC110 etc. but this has not been done. The Housing ID analysis, which is a research basis for Glen Eira planning, didn’t undertake this fundamental assessment. In summary, we need some real honesty, transparency and analysis, a good fair dinkum look in the mirror. Let the community know that you know this is a serious issue, this is a message that hasn’t been delivered previously. 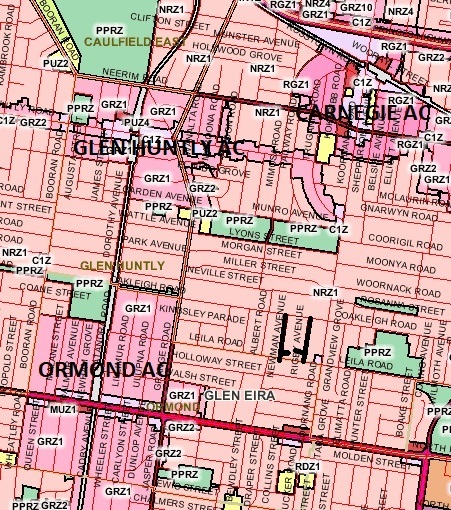 Secondly, Glen Eira needs to implement appropriate controls and quickly. 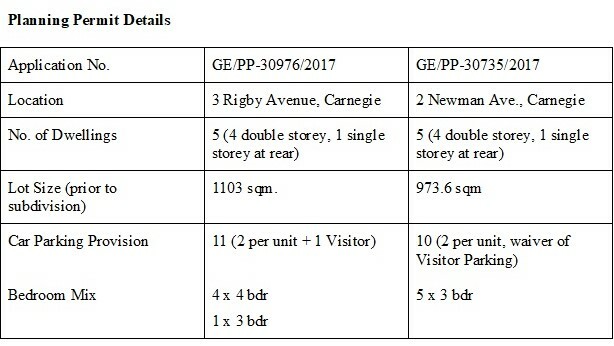 I understand and greatly respect that Council officers are working very hard on the structure planning process but it is counter-productive if Activity Centres are expanded, heights are discretionary, heights are excessive, public land is sold (or used) for further development and interim controls are weak. We are at a critical juncture where a counter-balance is required to offset the legacy. We need to get our planners to seriously assess the controls that are required to achieve fair and reasonable outcomes. Develop a clear and public action plan that demonstrates a strong commitment to this objective. Thirdly the community needs strong advocacy and representation on this issue. All too often the justification has been about state government policy. I understand state government policy but the beauty (?) of Australia is that we have three tiers of government all of which has the power to play a role. I am not interested in the politics of this situation, as has been introduced by others, but a pragmatic and evidenced based approach. The evidence is clear that strong advocacy is justifiable and required and now is the last opportunity. 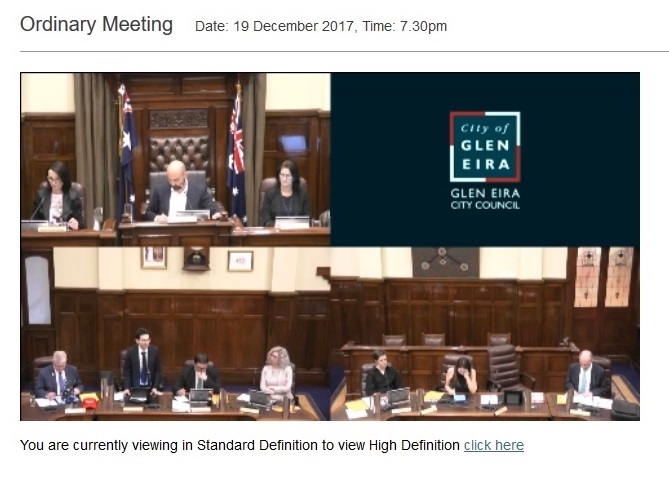 In talking and listening to fellow residents, I believe that this situation is a very major issue in Glen Eira that is effecting people’s lives on a daily basis. It is also an opportunity to actively address the issues that we confront. I have been fortunate to meet you on several occasions and believe that you are a person of exceptional integrity with a focus on community representation and advocacy. 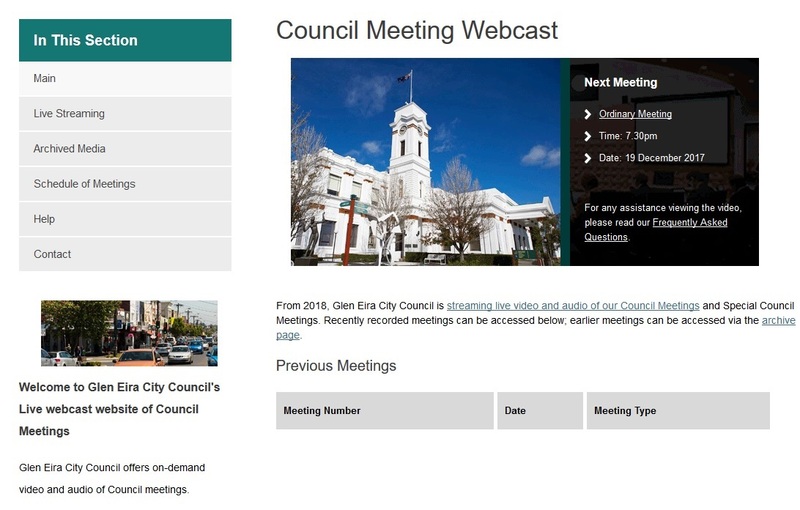 I appreciate that Rome wasn’t built in a day but implore you, in your role as a custodian, to actively address the culture and practices associated with development in Glen Eira and to do this with resolve, dedication and strong leadership. If you need any assistance to achieve the outcomes you can call on the people to support you. It is through the third space – the people (a term used by William Ury in Getting to Yes) that substantial and meaningful change can occur.